We’re making sure youngsters at Porth Beach Holiday Park have a cracking time this Easter – with free Easter Eggs! 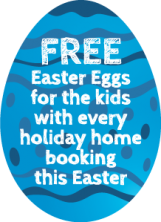 We’re giving away free Easter Eggs for the kids with every holiday home booking this Easter. The offer is limited to stays with us in our holiday homes from 25th March to 9th April. Our holiday homes are perfect for the whole family, providing sleeping for up to 6 people. Our spacious holiday homes and finished to a high standard, with modern fixtures and fittings. 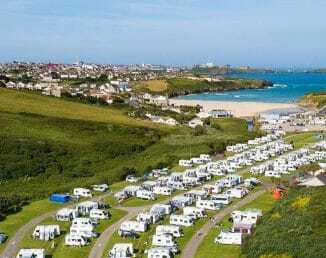 Easter is a great time to visit Cornwall and our holiday park is just 150 yards from the beach! To book your Easter break and take advantage of our free Easter Eggs offer, book on-line today, call us on 01637 876531 or email us here. *Terms: Offer strictly limited to new holiday home bookings only for stays between March 25th – 9th April. Cannot be used in conjunction with other offers or discounts.